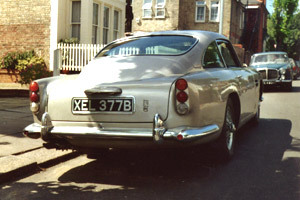 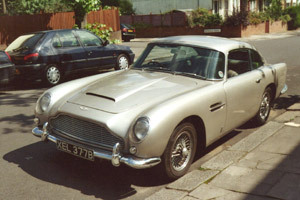 This 1964 DB5 had been restored by another concern but the owner was not totally happy. 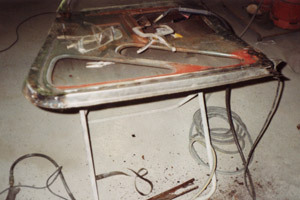 We just tidied up a few details here and there to finish it off for him. 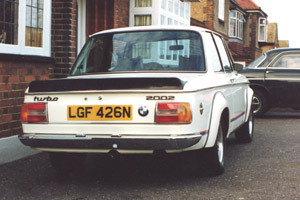 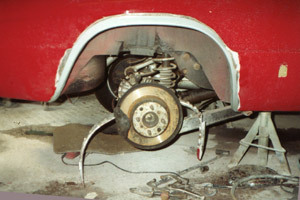 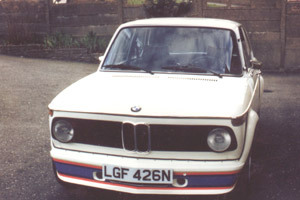 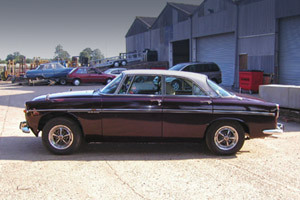 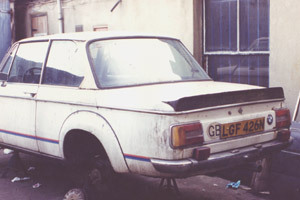 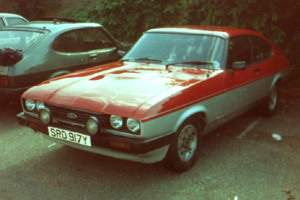 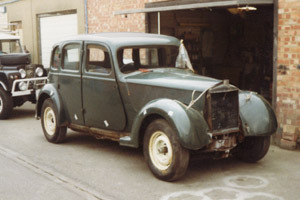 A genuine concours example of a 289 which was damaged during bad loading onto a transporter for an event. 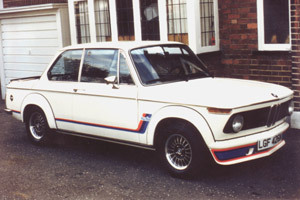 A well known car in various championships over the years. 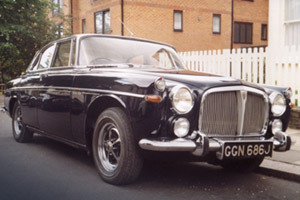 Owned by Lord Beaverbrook. 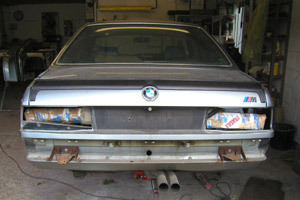 Repaired again after glancing a few crash barriers fending off the opposition. 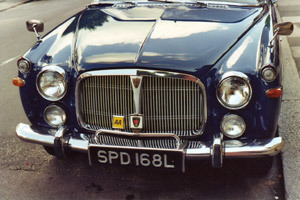 Also regular at Goodwood Revival meetings. 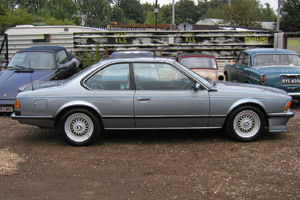 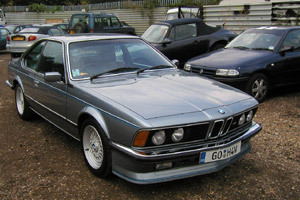 An 80s icon, BMW E24 M635csi (M6) Twin cam 24v 3.5L straight 6 producing 286bhp with a 0-60 of 6 secs. 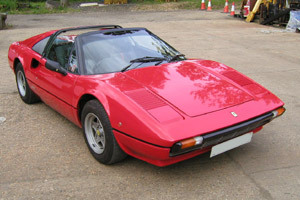 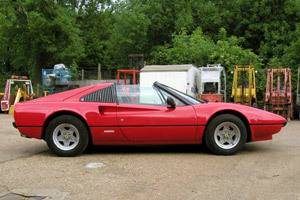 Only 5,855 produced and cost £32,195.00 new in 1985. 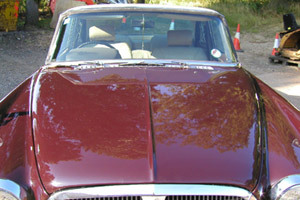 This vehicle had cosmetic work where needed and was kept looking original as you can see from the pictures. 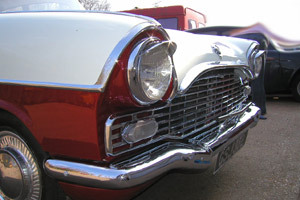 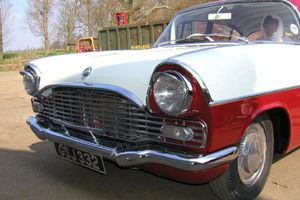 Vauxhall Cresta 60s PA model. 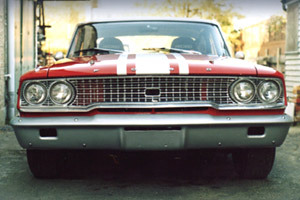 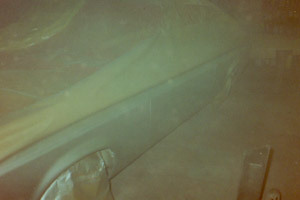 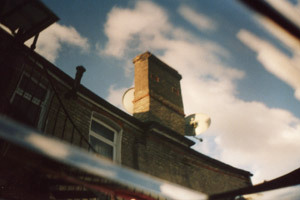 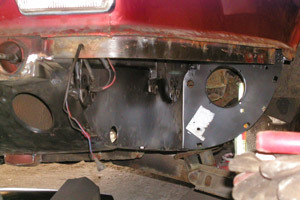 This is an example of a budget light restoration. 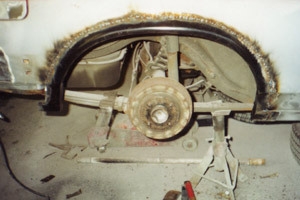 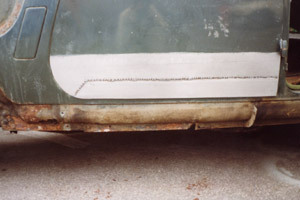 Repair work kept to a minimum to suit the owners pocket. 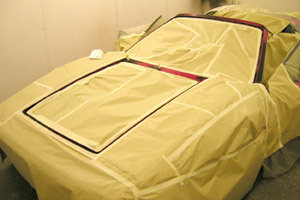 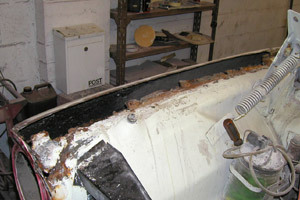 Repair panels are available for this vehicle but on this occasion sections were made in-house. 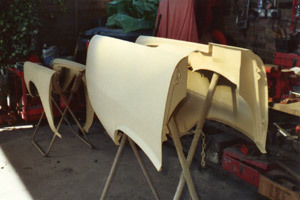 Finished in non original colours as requested. 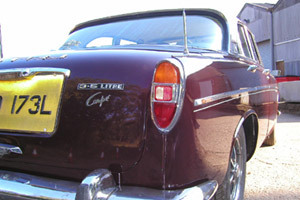 Limited edition 1.6 Calypso rarity revived with replacement doors, tailgate and front screen. 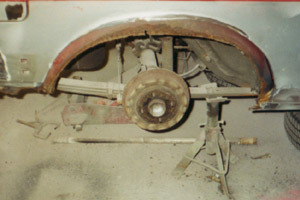 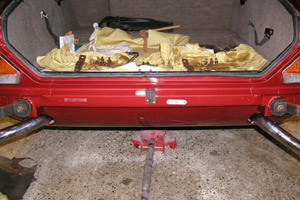 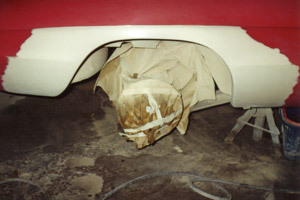 A new rear wheel arch and various repairs around the vehicle refinished in original Cardinal Red over Stratus Silver. 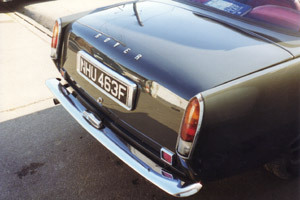 The owner took the car to New Zealand with her when she returned home. 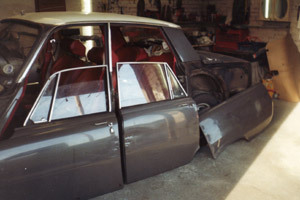 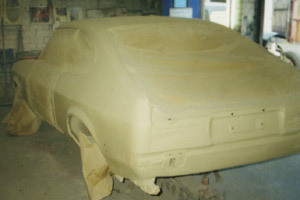 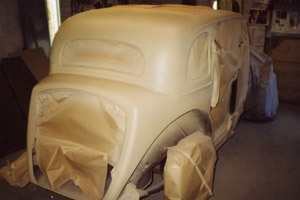 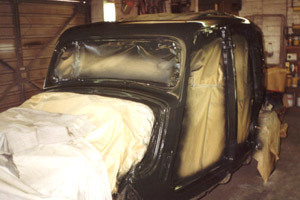 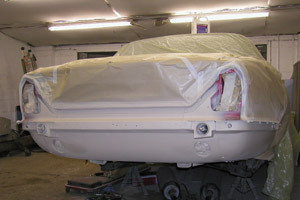 A high level body restoration with new panels where available - these usually need reshaping too! 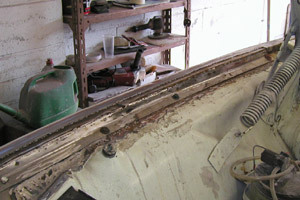 Mouldings and other trim replaced with new where required. 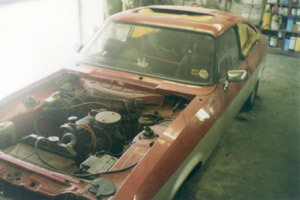 This car also had a full engine and drivetrain rebuild. 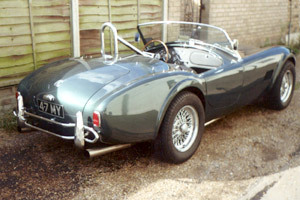 Suspension re-rubbered, custom springs and shocks plus a one off stainless exhaust system. 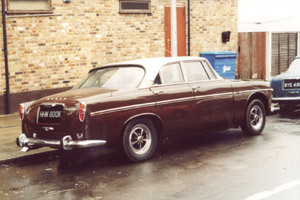 A stunning example in Cameron Green. 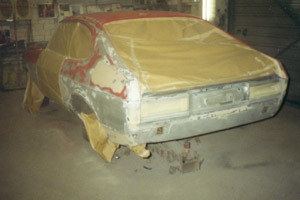 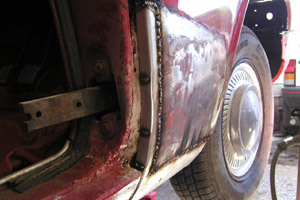 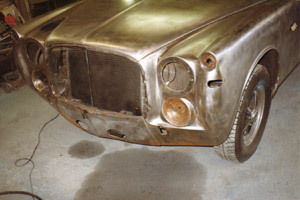 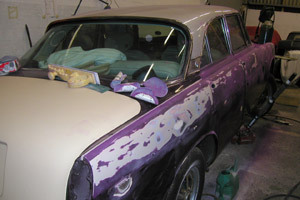 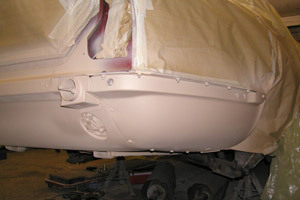 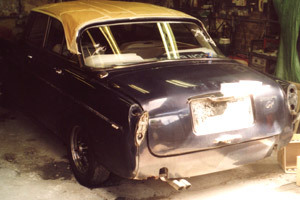 A bare metal re-spray and various panel repairs were carried out. 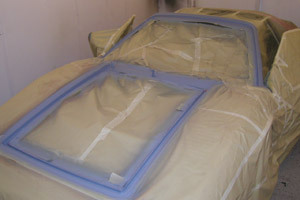 Finished in original Silver Birch over Zircon Blue. 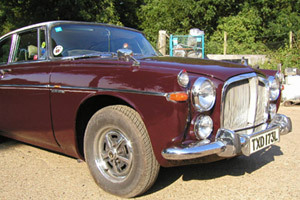 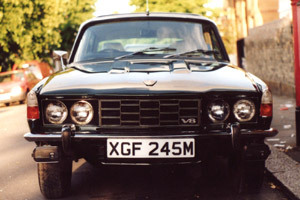 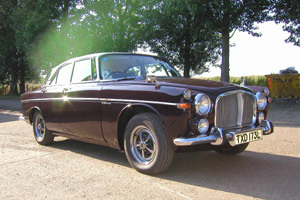 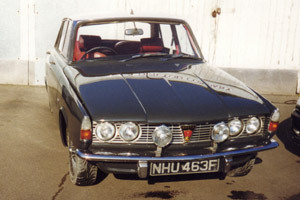 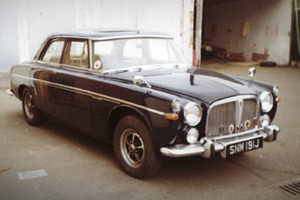 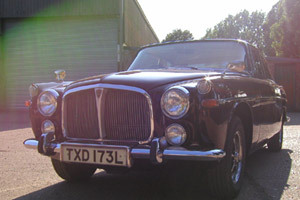 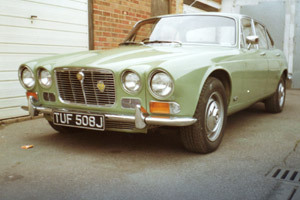 1973 Rover P5B 3.5L V8 Coupe. 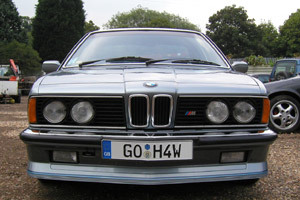 0-60 of 10.7 secs maximum speed approx 110mph. 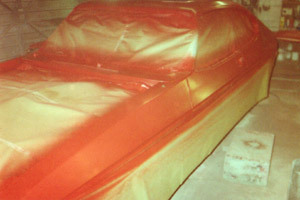 1966 spider boattail, the tinworms popular hideout! 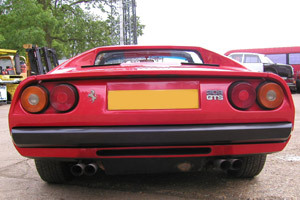 A rear arch replacement with minimal paintwork to keep this example looking good. 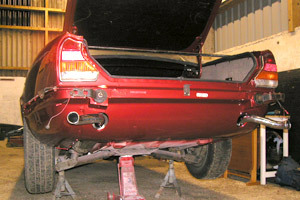 This Sovereign had accident damage to the rear resulting in new rear panel, with fuel tanks removed to replace inner panels, side valances and a new bumper assembly. 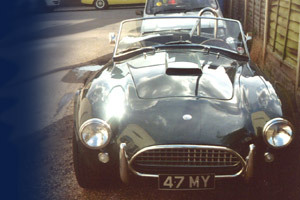 This 1954 rarity stumbled across us when broken down nearby on the M25. 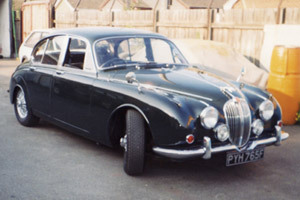 Having stood for a while she needed TLC to brakes, carburettors, fuel tanks and old hoses etc. 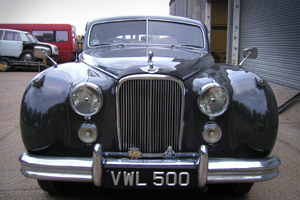 Will be at the Goodwood Revival 2006 in good health. 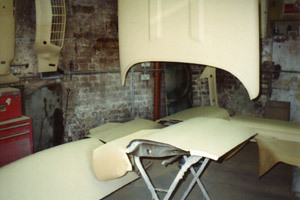 Light restoration to bodywork and fully refinished in Willow Green to correct mismatches of colour over the years from previous painters. 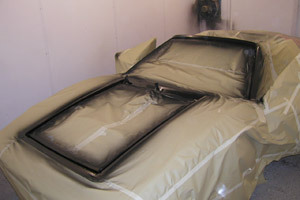 Time for a new windscreen - whilst removed satin black surround refreshed. 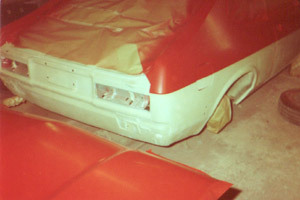 This 75 6 Light model was only produced for a matter of months. 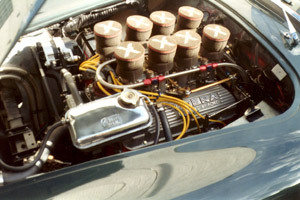 It was rumoured to be the test bed for the P4 75 engine, being the 6 cylinder they used for many years to come. 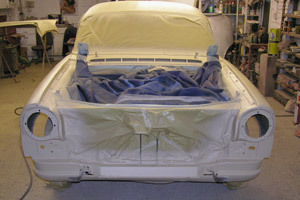 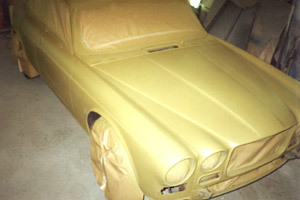 This vehicle needed various panel fabrication and repairs before a new coat of paint. 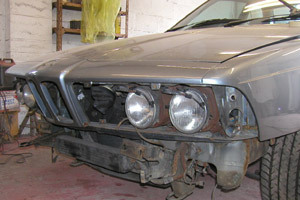 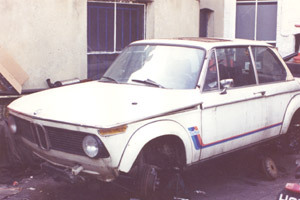 Unfortunately no completion pictures are available as the owner hasn't finished the rebuild to date. 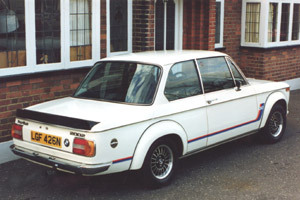 Commonly referred to as a MKII but a model in its own right. 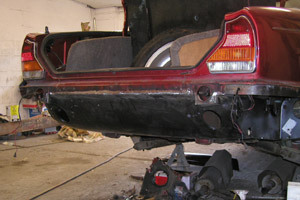 In for light accident damage to boot lid, rear panel, bumper and number plate surround. 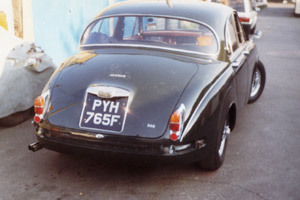 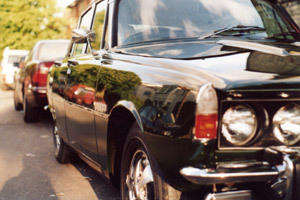 A good example in classic British Racing Green. 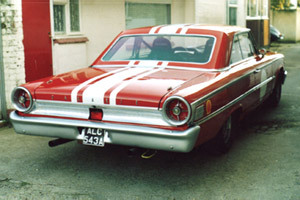 Having known this car since junior school, unfortunately the owner passed away. 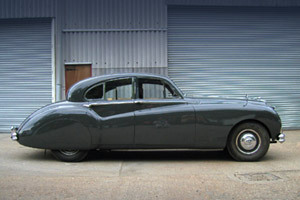 After rejuvenation it was sold to a new keeper. 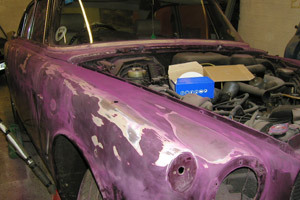 We have done other P5's varying from shopping trolley dents to a full bare metal respray.